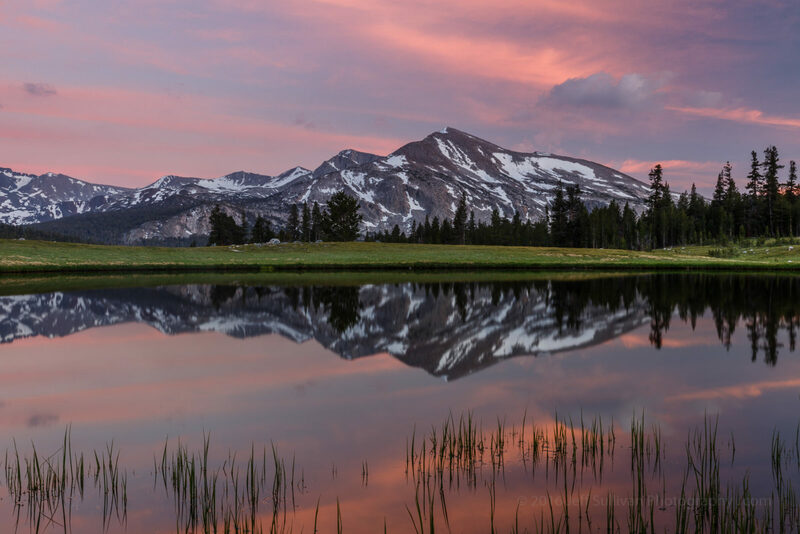 Yosemite's Tioga Pass entrance is only 13 miles from the town of Lee Vining in the Eastern Sierra. This was another occasion when when I consulted the SkyFire sunset forecast in The Photographers Ephemeris (TPE) app, and followed its advice to some nice sunset conditions. High clouds caught diffuse sunset light on this summer evening in Yosemite National Park.